What does the word violence mean to you? The meaning of this word is not the same to all people, leaving it wide open for interpretation. According to the Oxford English dictionary, violence is defined as, “behavior involving physical force intended to hurt, damage, or kill someone or something.” In today’s society, we are exposed to various modes of media that contain violent content including television, video games, movies, the internet, music, and even books. When coupled with the growing trend of violence among today’s adolescents, many people believe there is a direct connection between the consumption of violent media and those who become violent in real life. Linking these two factors may seem logical on the surface, but after looking deeper, one realizes that such a connection must be taken with a grain of salt. A major step in the regulation of the distribution of violent media occurred between the years of 1994 and 1996, when both the video game and television industries began to include content ratings on every product it sold. These ratings systems were the basis for those systems that still exist today, although todays are much improved. According to a recent consumer report, “nearly 58% of parents found these ratings to be useful when purchasing games for their children.” These ratings include not only the age a person who plays the game should be, but also the reason the game received that rating. This makes it easy to avoid games with violent and suggestive themes if you have young children. Only those mature enough to handle the content of mature themes should purchase those games. These ratings are monitored by the ESRB, which even mandates that a person must be 18 years of age or older, and hold valid identification, to even purchase a game with a “mature” rating. These measures are more than sufficient to keep young children protected from adult content. Both television and movies are also rated by the MPAA, and by following these ratings, there is no manner in which this content should find its way to the wrong audience. Despite ratings systems intended to keep violent media away from inappropriate audiences, in today’s world it is likely that at some point, every person will be exposed to violent content in one situation or another. This exposure does not, however, guarantee that a person will become violent themselves. In fact, the vast majority of people who are consumers of violent media are no more likely to commit acts of violence than if they had never viewed said media. To the contrary, almost the exact opposite of this is true. As noted by author Karen Sternheimer, “If media culture were a major indicator, wouldn’t the children of the wealthy, who have more access to the internet, video games, and other visual media be at a greater risk of becoming violent?” In actuality, it has been noted that patterns of violence do not match media use as much as they mirror poverty rates. 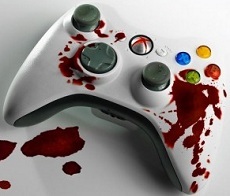 There are other instances of statistics not matching up with the assumed link of violent media and teen violence, such as the public statistic that since 1993, widely considered the ‘birth of violent video games and movies’ the national crime rate among teens has been cut in half. If there were a link between violent media and adolescent violence, one would naturally expect the crime rate to have risen in this time period, but it has not. As a consumer of violent media myself at times, I can attest to the fact that after viewing a violent movie or playing a violent video game, I feel no more enraged and commit no more acts of aggression than I normally would. In this area, the statistics linking adolescent violence and violence in today’s media simply do not add up. Some people believe that it is simply human nature to be violent in order to assert one’s dominance over another. Certainly world dictators and warmongers were not inspired to subjugate nations and start wars because they read a violent novel. In addition, other conflicts have taken place that are the result of the ideals of the participants, and have no ties whatsoever to any form of media. Herein lies is the main flaw of the many scientific experiments done to test the link between violence and violent media; there is just no way to replicate real world variables that may dictate violence. What happens in a focus study is by nature out of context, and takes out several variables that are potential causes for violence, such as a fight for rights or a certain mentality. Violent organizations such as mobs or mafias have no need of motivation from outside media, and are not out committing murder and other crimes because they just watched a violent movie. While it may appear as though violent media encourages violent behavior, the links between the two appear tenuous at best. Parents will say that when their young child sees violence they are likely to emulate that behavior, as children are wont to do. Opposition will rightly point out that children also emulate animals and inanimate objects, yet are taught that such behavior is improper. In time, it is up to parents to use tools such as television ratings to teach children that being violent towards others is wrong, and what they see on television and in movies is make believe. This is perhaps the biggest counterpoint to those who believe in a media-teen violence link. What is seen in video games and movies is intended as fantasy; a relief for the stressful lives we live in society today. In fact, a recent study found that games and media require consumers “to construct hypotheses, solve problems, develop strategies, and work through trial-and-error processes.” In light of this fact, it could be that games and movies that stimulate one’s senses are helpful in healthy brain development and growth. In conclusion, the possibility of a link between violence in today’s media and the recent increase in adolescent violence has been the subject of much discussion and debate. Despite the best efforts of media industries to put the public at ease, there are still those who contest that a link between the two exists, and even those in the scientific community have been unable to prove a definitive connection for one argument or the other. If one steps back to look at the bigger picture, they might conclude that instead of searching for a link between the two, or attempting to lay blame at the feet of one party or another, both sides might be better served by working to resolve factors that are proven to result in adolescent violence. Mental illness, depression, and unsafe living environments are all tangible problems that, if solved, could drastically reduce the amount of violence that occurs in today’s society. Rather than playing the blame game, many at-risk adolescents would be better off if both sides focused less on each other, and more on solving the evident problems of their current situations.